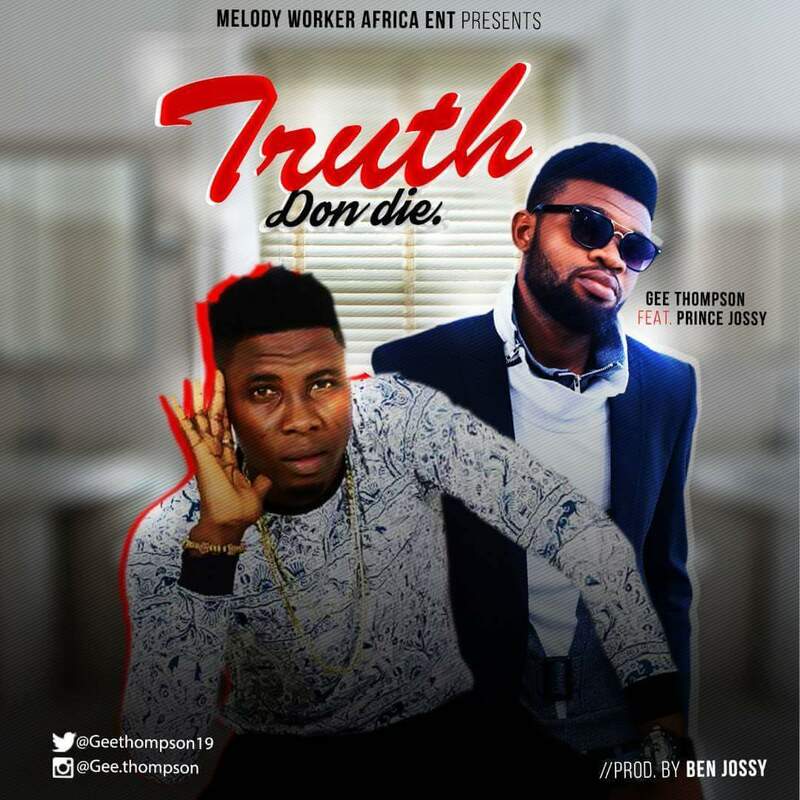 Melody Worker, presents to you, an amazing Afro Beat song by Gee Thompson featuring Prince Jossy. Its titled "TRUTH DON DIE". The groovy Afro beat is guaranteed to tweak your ears and make you tap your feet, produced by BEN JOSSY!